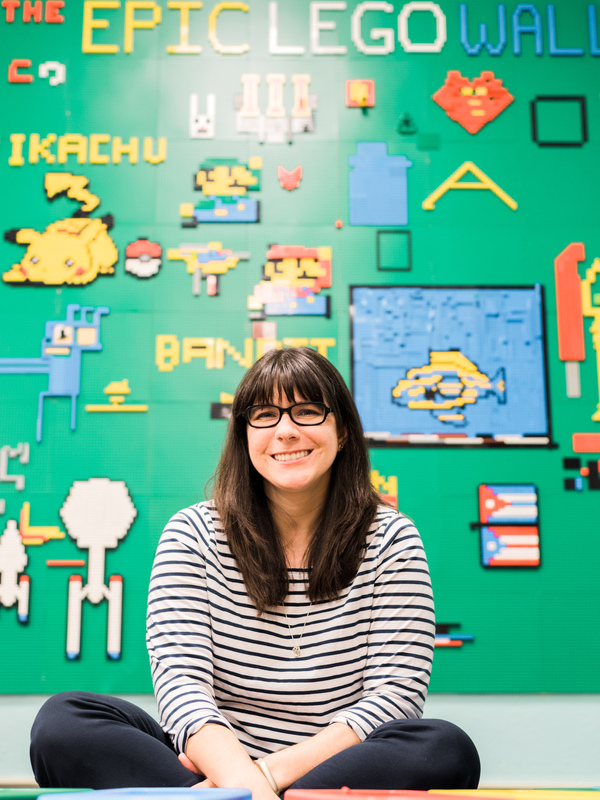 When I first started the Stewart Makerspace back in 2014, one of the earliest tools that I purchased was a MaKeyMaKey. My students loved it, and because they are so affordable (only $50 each) I was able to get a set of 10 of them through a DonorsChoose project, allowing students to work on longer term projects without having to take it apart everytime. 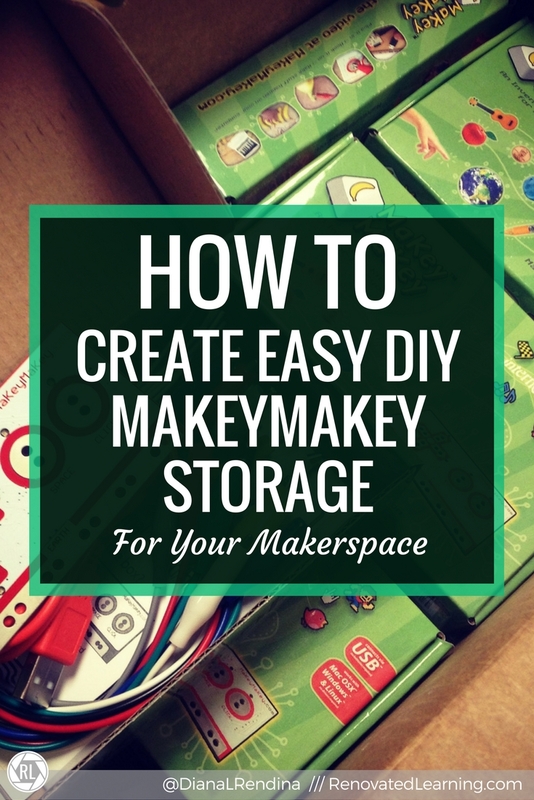 However, storing that many MaKeyMaKeys can be tricky. I started out with keeping them in the original boxes and storing them all together in a large plastic box, but it became difficult to wrangle all the wires back in each time. Like many schools, I have TONS of empty VHS cases in my storage room. We don’t really need them anymore but yet I knew there would be something useful I could do with them. Turns out, they’re the perfect size to hold a MaKeyMaKey and all it’s wires. I used translucent ones so that I could see what was inside without opening them. 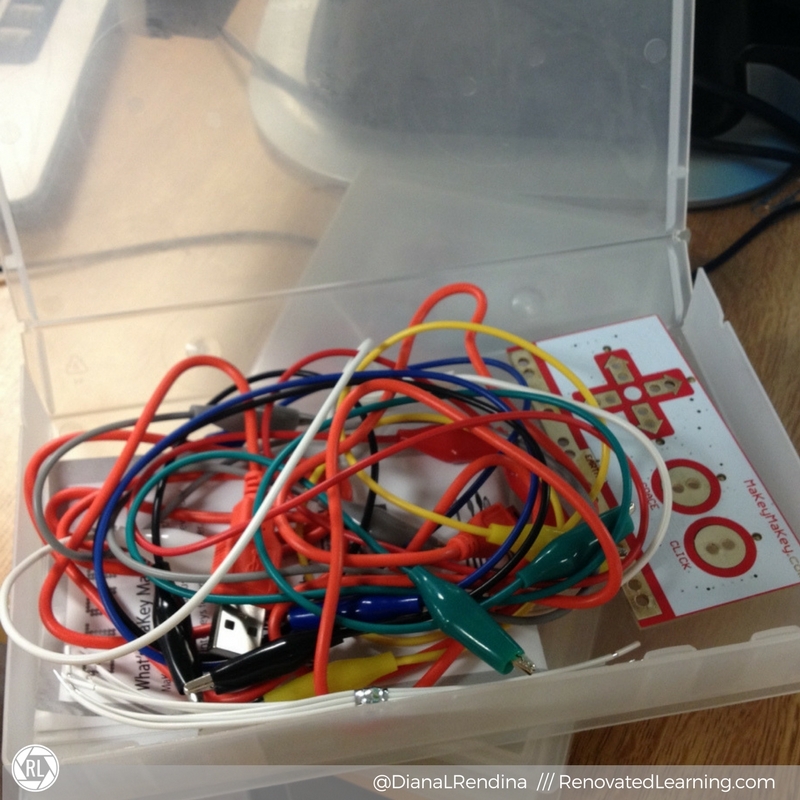 Now, when my students want to tinker with a MaKeyMaKey, they can easily grab a VHS case and have all the parts that they need on hand. 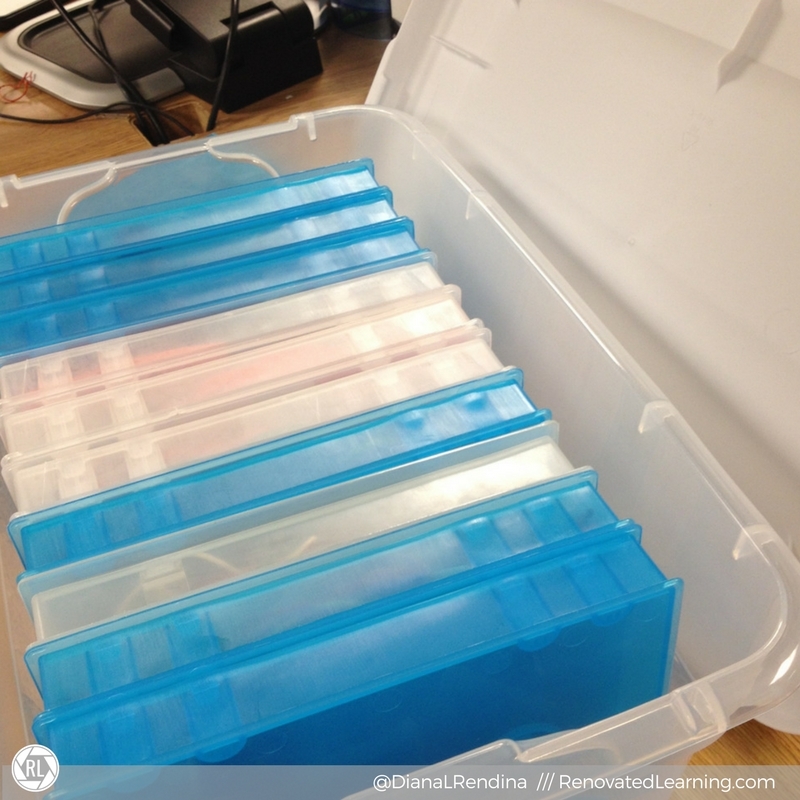 And since they’re translucent, I can easily see which cases are missing parts or are in use. It’s a simple solution, but sometimes the most basic solutions are the best ones. 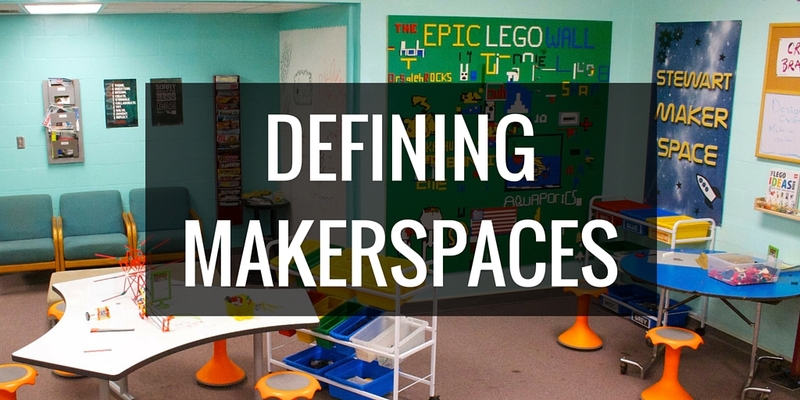 What’s your favorite organization trick for makerspaces? Thank you. 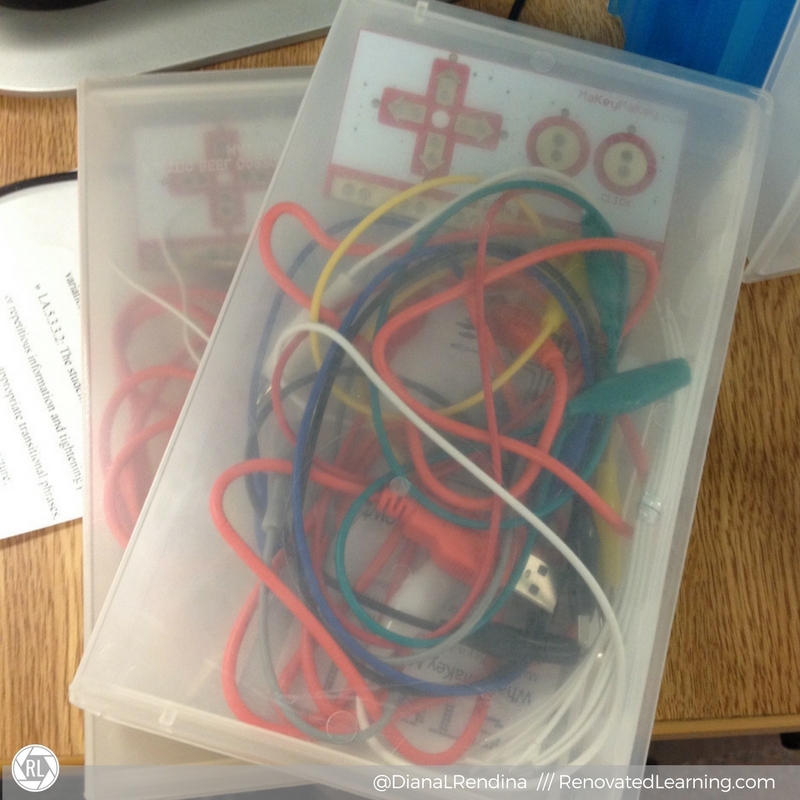 I have tried many unsuccessful was to store my makey-makeys. This is a brilliant idea. Great inspiration! I MIGHT TRY this with my so called” attention” needing learners in year 9. My area is Physics and Mathematics for years 11-13. Are there any suggestions, ready-made templates which could be use in groupss ? Thank you Diana for sharing these.